BlueOcean Ventures is a Swiss venture capital firm which specializes in investing in companies operating within the medical, medtech and technology fields. To date, the team has invested in over 30 companies of which several have been successfully exite and nine have been financed through the team's first fund, BlueOcean Ventures I, raised in 2008. A second fund, BlueOcean Ventures II was launched in 2015. It is currently investing in medtech and life science companies in Switzerland and the European Union. For the first time the BlueOcean STO gives investors the possibility of buying a tradable token in the highly illiquid asset class of Swiss and European medtech and life science venture capital investments. The BlueOcean special STO platform, SwissVCToken Pte Ltd, has been set up in an STO-friendly location (Singapore). The entity is dedicated to investing 100% of the net STO proceeds exclusively in the existing VC Fund BlueOcean Ventures II. As a result, token holders will become indirect investors in BlueOcean Ventures II's existing five portfolio companies, Ava, Rheon Medical, Volumina Medical, Luciole Medical, and Abionic. Further details about the existing investments are included in the whitepaper. 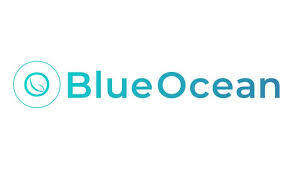 During buyback events, revenue from BlueOcean Ventures II is transferred back to BlueOcean Ventures II investors, including the Special STO Investment Platform, which in turn uses 100% of these proceeds to buy back investor's tokens at the current market price or the token's Net Asset Value, whichever is higher. - Profit Sharing: During buyback events, revenue from BlueOcean Ventures II is transferred back to BlueOcean Ventures II's investors, including our Special STO Investment Vehicle which in turn uses 100% of these proceeds to buy back your tokens at the token's current market price or the token's net asset value, whichever is higher. You are also permitted to sell your tokens at any time through our exchange partners.